The topic for our August 1 Small Group Ministry Practitioners Hangout was “Training leaders to be shepherds to their little flock.” How do you train them? What do you teach? Great discussion; we all learned a lot from one another. +Jay Daniell, +Josh Hunt, +Emil Kerekes, +Jonathan Jordan, +Adam Workman, +Brandon Boyd, and I participated this month. Here are a few highlights. This led us to discuss any differences or similarities between what we mean by “shepherding” and “discipling.” I think we all agreed that shepherding, or investing into the people in your group, is a key method for disicipling them. One of the key components of shepherding people is learning to listen to them. +Adam Workman told how he takes time in this training to teach leaders how to listen. A good reference for this is the book, Are You Really Listening? : Keys to Successful Communication, by Paul J. Donoghue and Mary E. Siegel. Workman also shared his church’s 9-week strategy for training leaders–new and veterans–and launching new groups. I love the strategic thinking for a leadership pathway that develops leaders, launches groups, and then promotes those groups to the congregation. Another very interesting dynamic we discussed was the pathway +Jay Daniell discussed: Seeker -> Student -> Servant -> Shepherd. It’s difficult to summarize everything we discussed, but if any other participants care to add anything, please do so! Our next Small Group Ministry Practitioners Hangout is September 5, 3:00 p.m. (eastern time). This Hangout will be “on air,” meaning it will be recorded as a public video and will be available on Mike Mack’s YouTube channel. 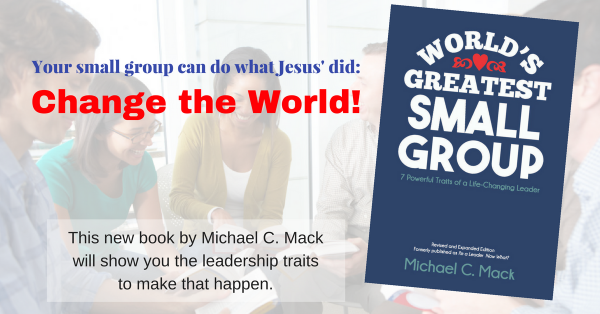 Go to my Google+ page at +Mike Mack or my page at +Small Group Leadership, LLC to find out more. Our topic for September: How are you and/or your small groups using social media in groups? included in this conversation will be: Are groups using social media (i.e. Hangouts) as the primary way they meet? If so, how? Do groups use social media to touch base throughout the week? How so? I’m also planning for October and beyond. In October or another month in the future, we will ask Josh Hunt to lead a discussion about how to train leaders to lead dynamic discussion. I’m also looking for other topics you’d be interested in discussing. Please comment below with any ideas you have.